Medical school student Amanda Garrett and American doctors working secretly in Africa have found a cure for the Ebola and Human Immunodeficiency Viruses. Leaders of the Islamic State want the cure so they can show the world Islam is a benevolent religion that all Africans should follow. The President of the United States believes an alleged 30,000-year-old Sub-Saharan religious text called The Book of Catalyst identifies him as being of divine origin. As Amanda operates her portion of the clandestine CIA Project Nightingale in a Tanzanian orphanage, she is attacked and chased by brutal killers called The Leopard and The Cheetah. Amanda has 48 hours to escape across the Serengeti Plain before the remaining vials of the cure expire. The Islamic State escalates attacks across the Middle East using freshly converted fighters from Africa. The American President, however, chooses not to deploy sufficient troops to save U.S. Special Forces, including Amanda's husband, assisting in the air war against ISIS. 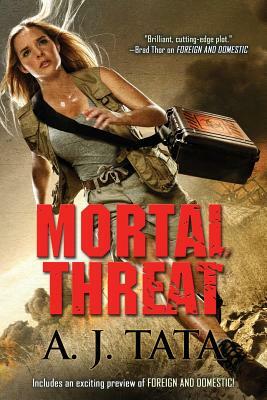 As Amanda attempts to save the rapidly decomposing formula for the Ebola and HIV cures, she finds herself at the center of a clash between warring media titans, Jonathan Beckwith and Zhor al Rhazziq, who are following her every step toward the Olduvai Gorge, which some scientists claim to be the origin of human life.